Description: Lake Natron is a soda lake with extreme alkalinity since some of its water leaks through the lava flow of the nearby active volcano Ol Doinyo Lengai. 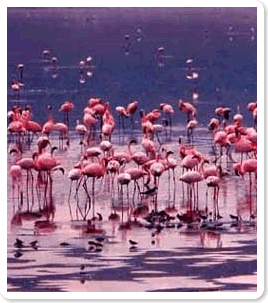 At times, there are several hundred thousand flamingos on and near the lake making for a wonderful spectacle. Lake Natron is one of the most important breeding grounds for flamingos in the world. The weather is significantly hotter here then at most other northern Tanzania destinations but the scenery is striking and unlike anywhere else. Most visits to Lake Natron include a brief visit to Engaruka Ruins: a mysterious complex of stone ruins, consisting of 7 abandoned villages with an astoundingly complex irrigation system of canals and damns that supported 5000 people. 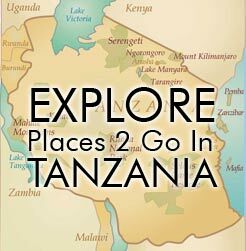 Little is known of Engaruka’s original inhabitants and archeologists are still puzzled.